"When Olivia opens the bathroom door, the last thing she expects to see is her best friend Nicola giving birth on the floor – and to say Nicola is surprised is an understatement. She’s not ready to be a mum, and she needs Olivia’s help. But Olivia has her own problems – specifically her bullying boyfriend, Jonty, and keeping an eye on younger sister Alice. 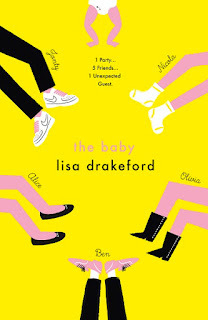 And then there’s Nicola’s friend Ben, who’s struggling with secrets of his own..."
'The Baby' is such a brilliant read: I instantly became so immersed into each of the character's lives, getting the chance to read and sympathise with them individually, as each character has one section to themselves. I loved the idea of the narrative being split to five people; that really sat well with me. Olivia had no idea that on her seventeenth birthday party she would go into the bathroom to see her best friend Nicola about to give birth. The new baby effects all five of the main characters: Olivia, Nicola, Jonty, Alice and Ben- and as readers we get to experience the highs and the lows of each character, making their presence seem very real. 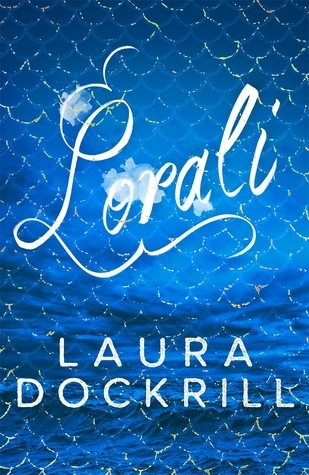 The novel bursts with drama, love and friendship: which just added to the great impression the book was having on me. I particularly loved Alice- as Olivia's 'weird' little sister she had a lasting effect. Her narration was like a breath of fresh air to me: as Lisa Drakeford clearly captures a young girls mindset- I loved that. 'The Baby' flowed so well for me, I raced through it so quickly- I was totally and utterly engaged. The ending did stun me, and to be honest I did have mixed feelings about it. I was disappointed that my questions didn't get answers; but then when I found out there was a sequel, my excitement started to bubble again, elated at the thought of getting answers. A fabulous 4/5- 'The Baby' is one to read if you need to get out of a reading slump, or if you are very busy and need a reading fix to escape from your problems.